Advanced Vocal Exercises: "Body & Soul"
Welcome to this video where we will work on more advanced exercises for melding your singing and playing, learning Body and Soul, and advancing your connection to the piano. After completing the previous vocal exercises video, you will know the melody reasonable well for Body And Soul so now we will incorporate some more advanced exercises by singing the melody over the bassline. 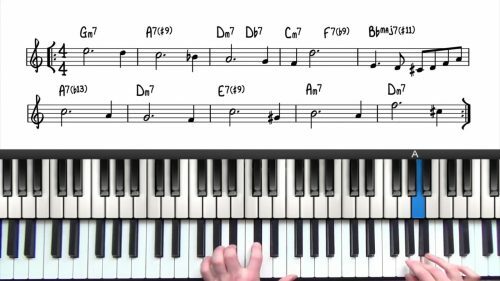 You might remember from earlier videos in this course on accompanying vocalists, that most jazz singers rarely sing the melody as written. However, they do learn the melody as written first, and then they step out. 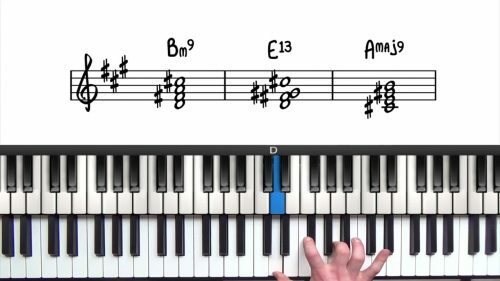 So now that you know it, you can experiment too, first with embellished melody and then work your way up to pure improvisation. After watching these lessons, you will see that we are getting in the habit of thinking through changes, voicings, our playing, whilst singing and developing out voice at the same time. This engenders a real and natural connection to our playing whilst getting stronger in the melody and chord changes on one particular tune. Playing piano is one skill, singing is another skill. Playing and singing is a 3rd skill that you must acquire. This approach will help you develop your ability in this area. It’s important that you maintain the proper posture which singing and playing. 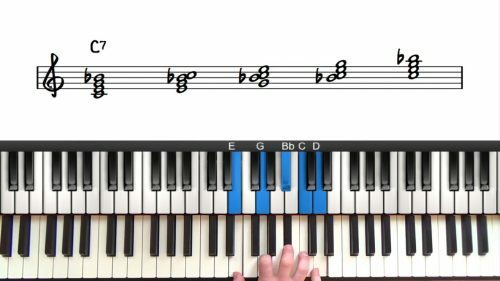 Using your diaphragm, and having proper posture is completely possible at the piano. It’s something you need to be aware of. Pay attention to the charts that we use to illustrate this point. You can see in the lesson diagrams and downloads, that you must keep your upper body straight to enable diaphragmatic breathing. Simplify your playing, You must account for some of your brain going to singing, and give yourself space – not only in your sound but in your mind. You want to learn to balance your focus between the two. Record yourself to hear objectively if you are doing this. If the voice is sounding pitchy, flat or not as good as you know you can do, might need to simplify your piano part, to allow more of your effort to flow into the voice – this is harder to hear objectively and hence the recording. Above anything else, listen and watch other singing pianists. See how they do it and get inspired!